Rapid improvement in DNA sequencing has sparked a proliferation of medical and genetic tests that promise to reveal everything from one’s ancestry to fitness levels to microorganisms that live in your gut. A new study from University of Washington researchers that analyzed the security hygiene of common, open-source DNA processing programs finds evidence of poor computer security practices used throughout the field. In the study, which will be presented Aug. 17 in Vancouver, B.C., at the 26th USENIX Security Symposium, the team also demonstrated for the first time that it is possible — though still challenging — to compromise a computer system with a malicious computer code stored in synthetic DNA. When that DNA is analyzed, the code can become executable malware that attacks the computer system running the software. So far, the researchers stress, there’s no evidence of malicious attacks on DNA synthesizing, sequencing and processing services. But their analysis of software used throughout that pipeline found known security gaps that could allow unauthorized parties to gain control of computer systems — potentially giving them access to personal information or even the ability to manipulate DNA results. “One of the big things we try to do in the computer security community is to avoid a situation where we say, ‘Oh shoot, adversaries are here and knocking on our door and we’re not prepared,’” said co-author Tadayoshi Kohno, professor at the UW’s Paul G. Allen School of Computer Science & Engineering. “Instead, we’d rather say, ‘Hey, if you continue on your current trajectory, adversaries might show up in 10 years. So let’s start a conversation now about how to improve your security before it becomes an issue,’” said Kohno, whose previous research has provoked high-profile discussions about vulnerabilities in emerging technologies, such as internet-connected automobiles and implantable medical devices. In the new paper, researchers from the UW Security and Privacy Research Lab and UW Molecular Information Systems Lab offer recommendations to strengthen computer security and privacy protections in DNA synthesis, sequencing and processing. The research team identified several different ways that a nefarious person could compromise a DNA sequencing and processing stream. To start, they demonstrated a technique that is scientifically fascinating — though arguably not the first thing an adversary might attempt, the researchers say. “It remains to be seen how useful this would be, but we wondered whether under semi-realistic circumstances it would be possible to use biological molecules to infect a computer through normal DNA processing,” said co-author and Allen School doctoral student Peter Ney. DNA is, at its heart, a system that encodes information in sequences of nucleotides. Through trial and error, the team found a way to include executable code — similar to computer worms that occasionally wreak havoc on the internet — in synthetic DNA strands. 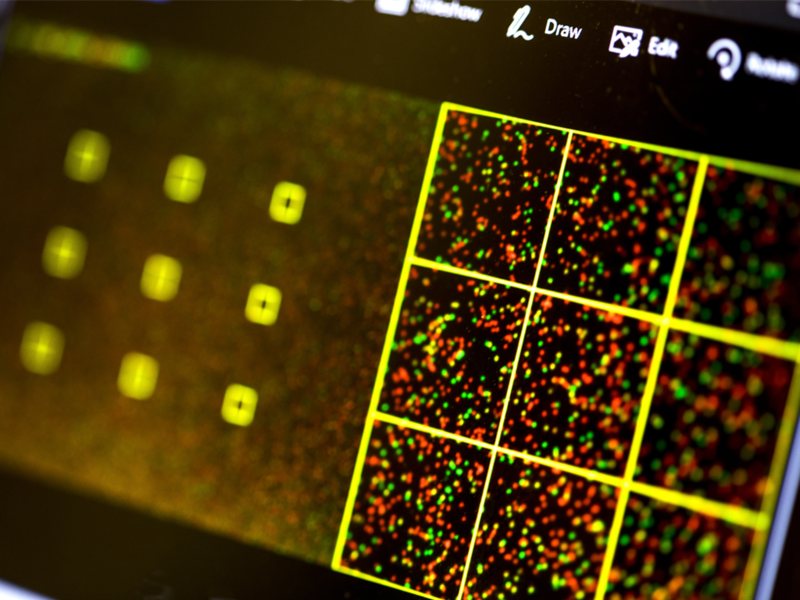 To create optimal conditions for an adversary, they introduced a known security vulnerability into a software program that’s used to analyze and search for patterns in the raw files that emerge from DNA sequencing. When that particular DNA strand is processed, the malicious exploit can gain control of the computer that’s running the program — potentially allowing the adversary to look at personal information, alter test results or even peer into a company’s intellectual property. In what might prove to be a more target-rich area for an adversary to exploit, the research team also discovered known security gaps in many open-source software programs used to analyze DNA sequencing data. Some were written in unsafe languages known to be vulnerable to attacks, in part because they were first crafted by small research groups who likely weren’t expecting much, if any, adversarial pressure. But as the cost of DNA sequencing has plummeted over the last decade, open-source programs have been adopted more widely in medical- and consumer-focused applications. 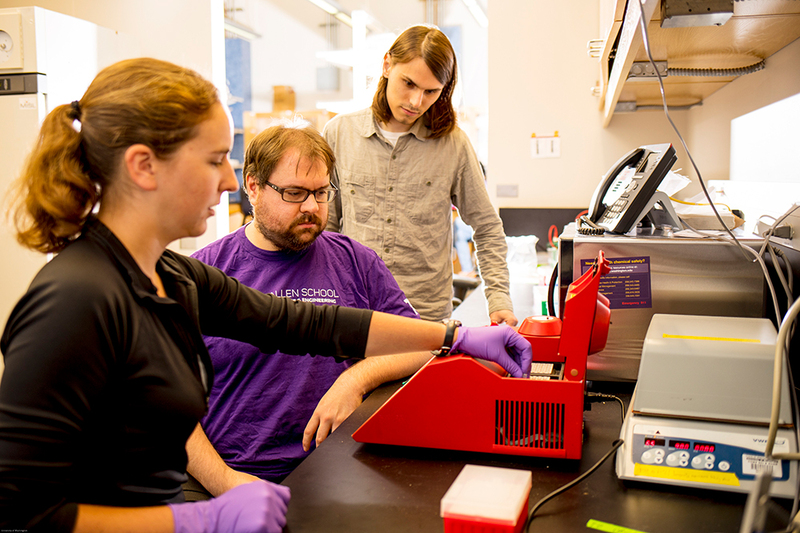 Researchers at the UW Molecular Information Systems Lab are working to create next-generation archival storage systems by encoding digital data in strands of synthetic DNA. Although their system relies on DNA sequencing, it does not suffer from the security vulnerabilities identified in the present research, in part because the MISL team has anticipated those issues and because their system doesn’t rely on typical bioinformatics tools. Recommendations to address vulnerabilities elsewhere in the DNA sequencing industry include: following best practices for secure software, incorporating adversarial thinking when setting up processes, monitoring who has control of the physical DNA samples, verifying sources of DNA samples before they are processed and developing ways to detect malicious executable code in DNA. The research was funded by the University of Washington Tech Policy Lab, the Short-Dooley Professorship and the Torode Family Professorship. For more information, contact the research team at dnasec@cs.washington.edu.